Pain is part of life. Pain enables us to heal and grow. 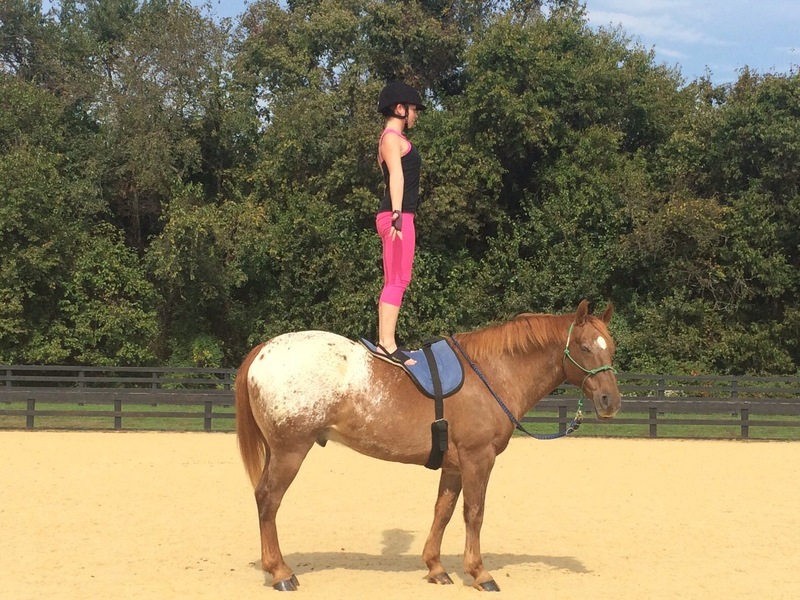 My journey of healing began with horses and continues with my yoga practice, both on the mat and with Snowy. 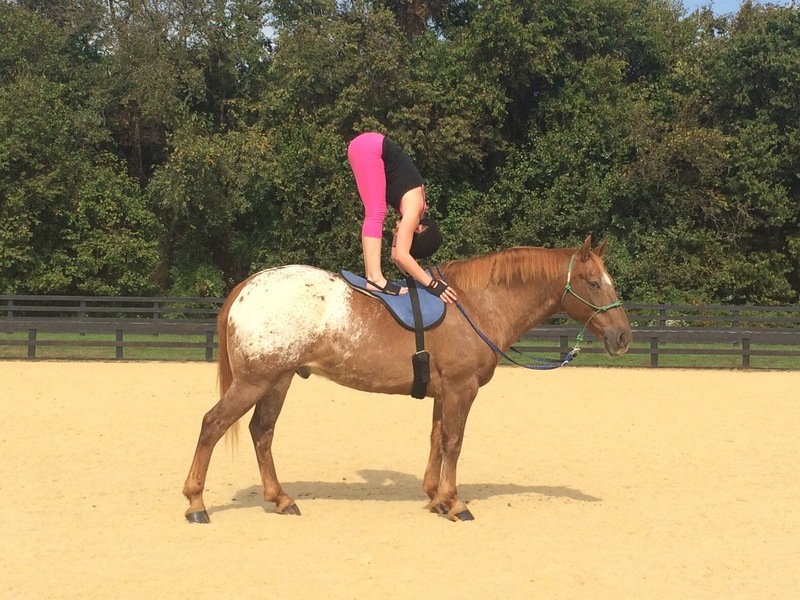 I began practicing yoga on horseback out of curiosity. 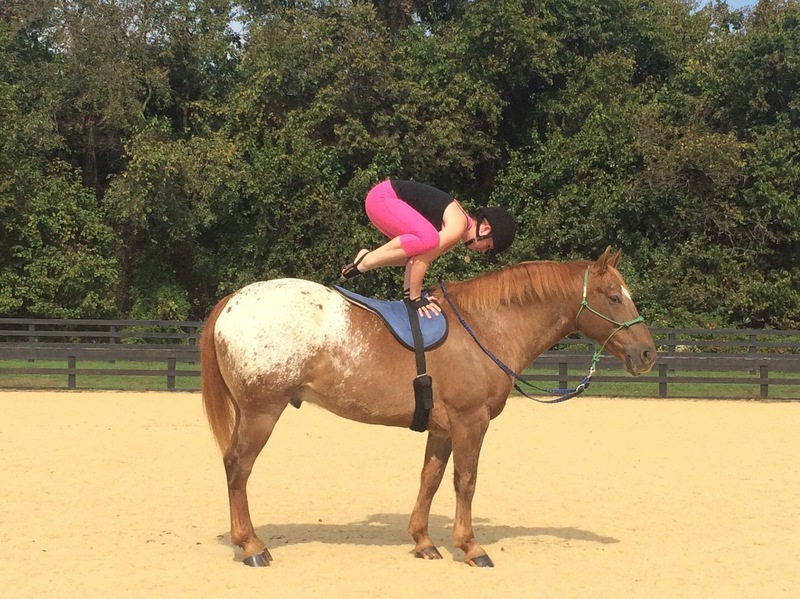 My passion for yoga and horses fueled a quiet, but nagging thought in my mind—what would happen if I combined the two? 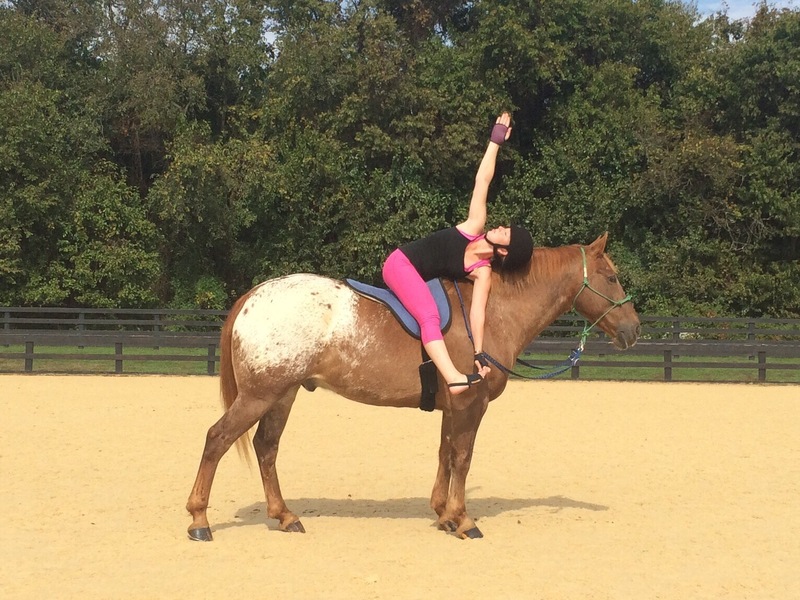 Good horsemen and women learn a lesson at some point in their equestrian careers: horses are much more than recreational vehicles—they are sentient beings who deserve to be treated with kindness, respect, and dignity. This lesson punched me in the gut when I was eight years old. The equestrian center my mom managed at the time housed an athletic little Appaloosa pony named Trixie. She and I would explore trails for hours. She was every little girl’s dream come true—pretty, reliable, and fast. One day Trixie and I returned to the barn and my mom noticed with horror that Trixie was huffing and puffing and lathered in sweat. My mom pulled me aside and explained to me in a stern voice that I couldn’t just go out and run Trixie as much as I wanted to. She said to me, “Horses aren’t machines. They have feelings. You have to be considerate of them. You should never cause them suffering.” My heart ached for the way I had treated Trixie. Until that day, I didn’t realize that horses had a limit, that they shouldn’t be run all the way back to the barn even if they seemed willing. I felt horrible that I had caused a sentient being suffering. As I walked Trixie out that day, allowing her to cool down, I vowed to never cause such suffering again. 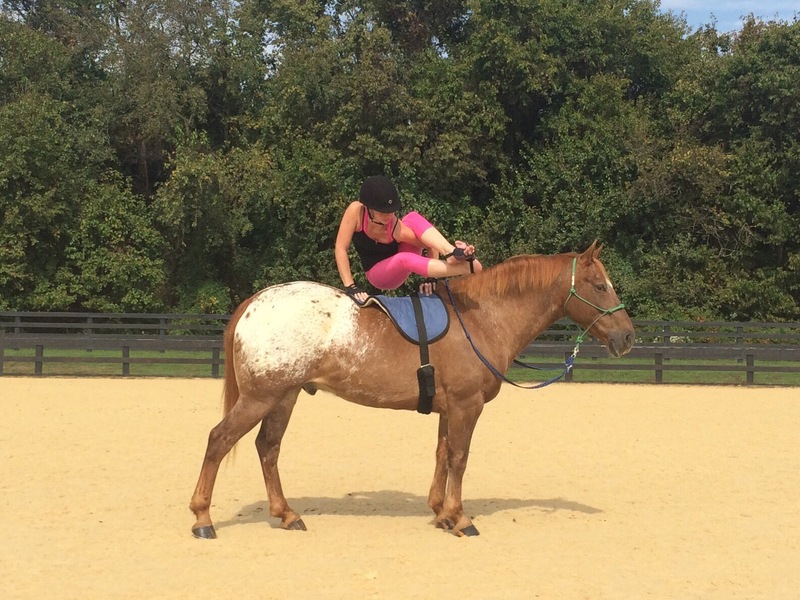 That day proved to be a turning point in my horsemanship. From then on, I dedicated myself to learning all I could about horses and how to have harmonious, mutually respectful relationships with them. 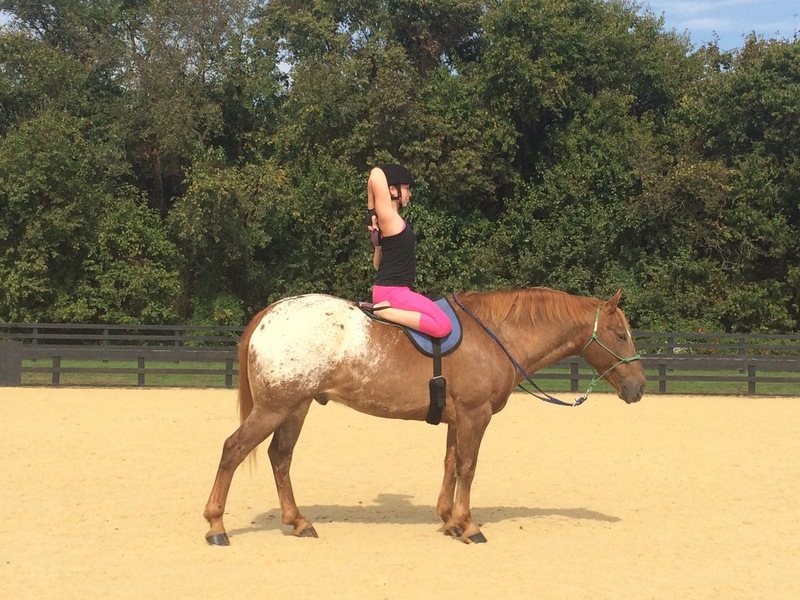 I participated in Dressage, Centered Riding, and Natural Horsemanship clinics. I read all the literature I could get my hands on. And, most importantly, I learned to listen to the horse. My horsemanship and training methods are based on a deep love for and ever-increasing knowledge of the horse as a sentient being. Do I still make mistakes? Of course, but I learn from them. I do not force my will upon any horse. I do not cause any horse pain or suffering. During my yoga practices with Snowy, I pay close attention to him to see if anything I’m doing is causing him even a hint of discomfort, and if so, I immediately stop doing that pose. When I embarked on my yoga journey, I couldn’t have fathomed where it would eventually lead. I first tried Hatha yoga at Smith College during my first year there. I was bored and could not for the life of me understand the point of savasana. During my senior year, a friend dragged me to a Baptiste Yoga Studio in town, Shiva Shakti Power Vinyasa Yoga. I walked out of that first class feeling like I was floating on air. I had officially experienced my first yoga high. Classes with Brandon and Naima transcended a physical workout and showed me how to use yoga to look within and grow spiritually. I attended classes there daily until I moved away after graduating from Smith. I continued to practice vinyasa yoga at Awakening Yoga Studio near Savannah, GA, where I lived for two years after graduating from college. Classes with Lisa, the owner, enabled me to continue to grow my practice. I achieved headstand under her knowledgeable instruction. When I moved to Virginia in 2013, I discovered Yoga Time Studio and went there to sweat away all my stresses and uncertainties. Mindy, the owner and fabulous teacher, had a way of helping me focus on the present moment intensely while having a great time doing so. She told me about a teacher training that was being held at her studio, and that’s when I met Denise Moore. Denise created and led the first Open Dimension Yoga Teacher Training, which I graduated from in May of this year. I have never met anyone as knowledgeable and passionate about yoga as Denise. Through her training, I gained thorough knowledge of how to teach Hatha yoga to beginners and advanced beginners, and also learned about anatomy, pranayama, meditation, the yoga sutras, and more. You can learn more about Denise and her yoga classes here. I came full circle, beginning with Hatha and ending with Hatha, although my yoga journey has really only just begun. I’ve been teaching Hatha yoga classes at Native Barre and Barre Buddhi and hope to return to teaching when I get back from Costa Rica. What I love about Hatha yoga is that it builds a strong foundation that yogis can practice on for the rest of their lives. If and when a yogi decides to try other types of yoga, Hatha teaches him/her how to stay safe and prevent injury through being mindful of proper alignment and breathing. The more I practice and teach Hatha yoga, the more I love it. 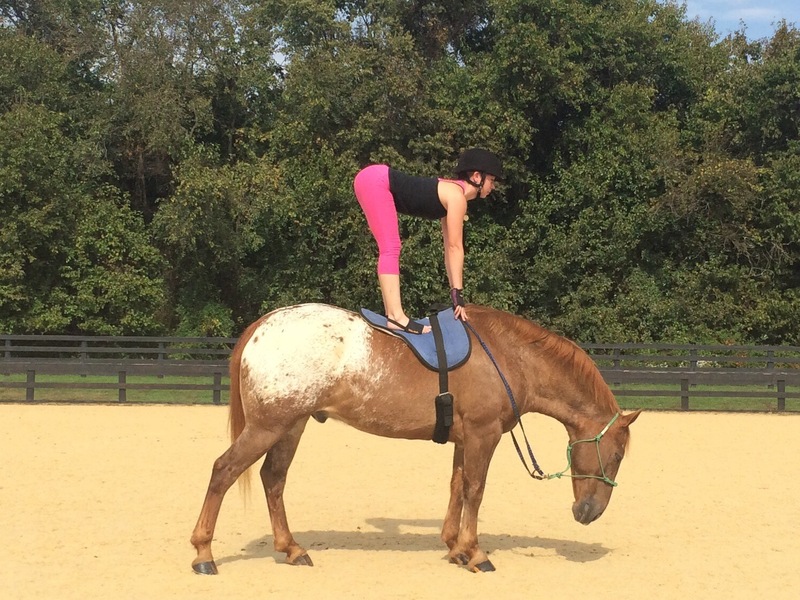 One sure thing I’ve learned about horses and yoga is that there is always more to learn, there is always room to grow. Admitting I don’t know it all enables me to keep learning, and I will keep learning, but I will never know all there is to know, and that’s okay. I will learn all I can and pass on all the knowledge I can, and that will be enough. 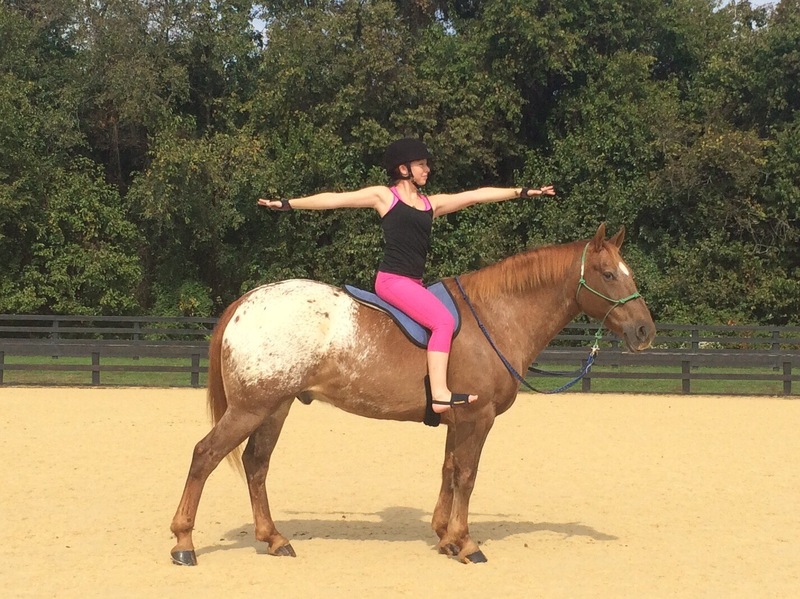 I’m making up this whole horse yoga thing as I go, guided by my heart and Snowy’s responses. 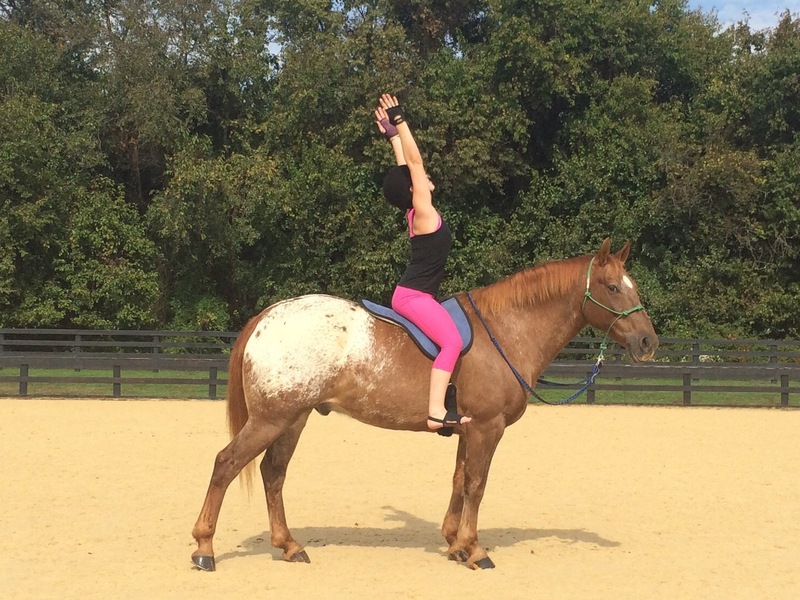 I practice yoga on horseback for no other reason than I love it. 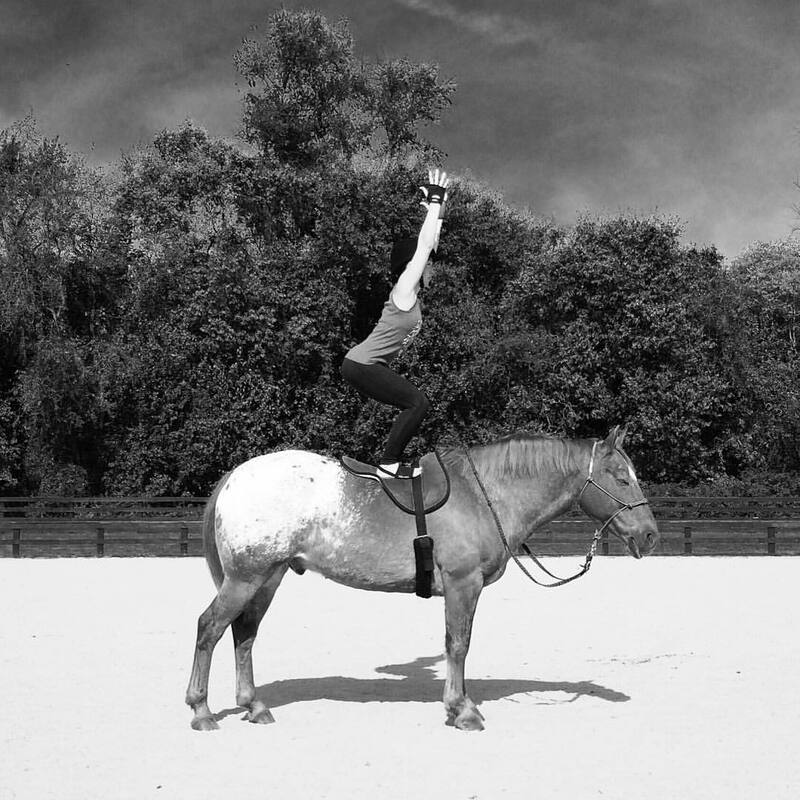 Practicing with Snowy enables me to deepen my yoga and horsemanship skills. It has also cultivated even more trust between me and Snowy. There are no tricks in my photos. No one’s standing just outside the frame in case Snowy decides to move. Sometimes Snowy does fidget, and that’s when I pay extra close attention to see if something I’m doing is uncomfortable for him. Most of the time, though, Snowy stands quietly, breathing deeply, steadily, and slowly, enjoying the yoga high as much as I do. The deep peace I experience during savasana with Snowy is extraordinary. Some critics have said I’m doing this for attention. Others have said it’s cruel to the horse. Allow me to address both of those concerns. 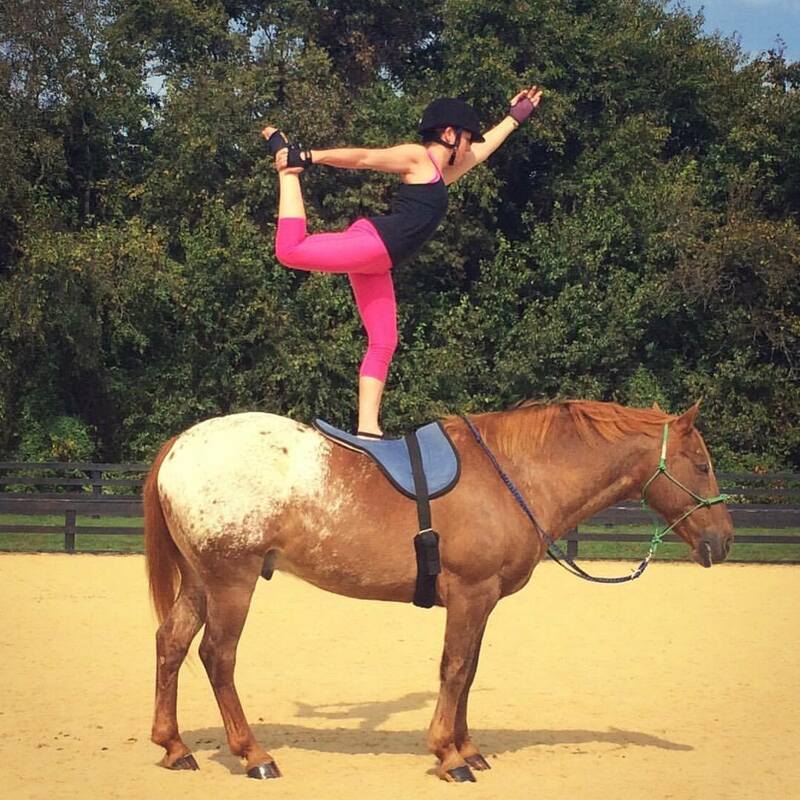 I am not doing yoga on horseback for attention. I share my journey on social media in hopes that it can inspire others, and I share it to make others aware that horses are beings with emotions and depth, and that they deserve to be treated with kindness, respect, and dignity. 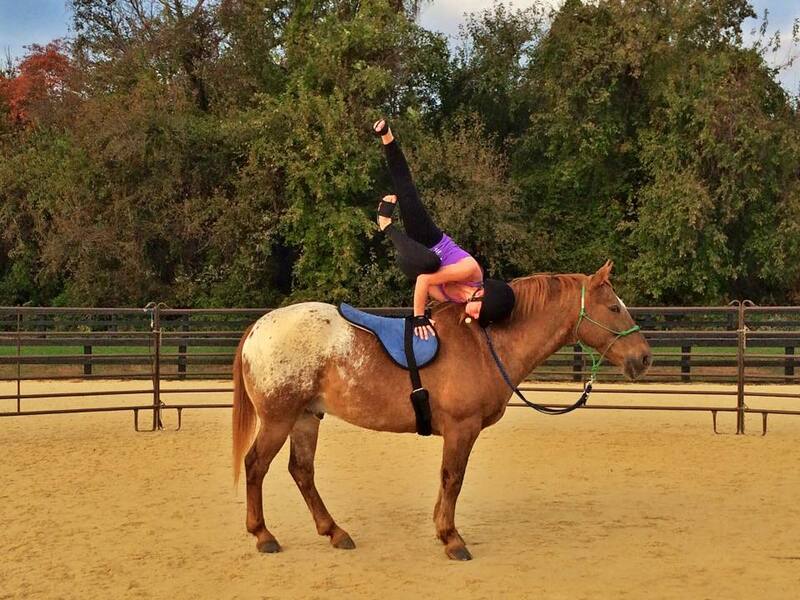 And to those who think practicing yoga on horseback is cruel, I’ll tell you what’s cruel. Competing a horse in a sport it doesn’t enjoy because it feeds your ego is cruel. Confining a horse to a stall with hardly any time to just go out in the field and be a horse is cruel. Using any bit with a harsh hand is cruel. Using ill-fitting tack is cruel. Using spurs, whips, and harsher bits because you lack the skills necessary to have a mutually respectful relationship with your horse is cruel. Blaming the horse for your mistakes is cruel. 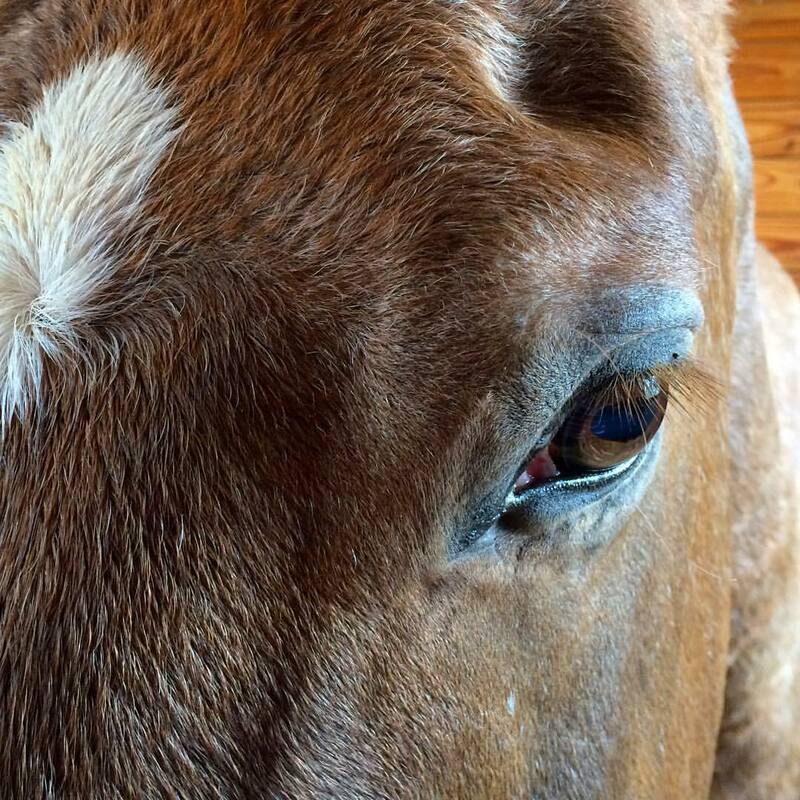 Viewing the horse as anything other than a sentient being is cruel. 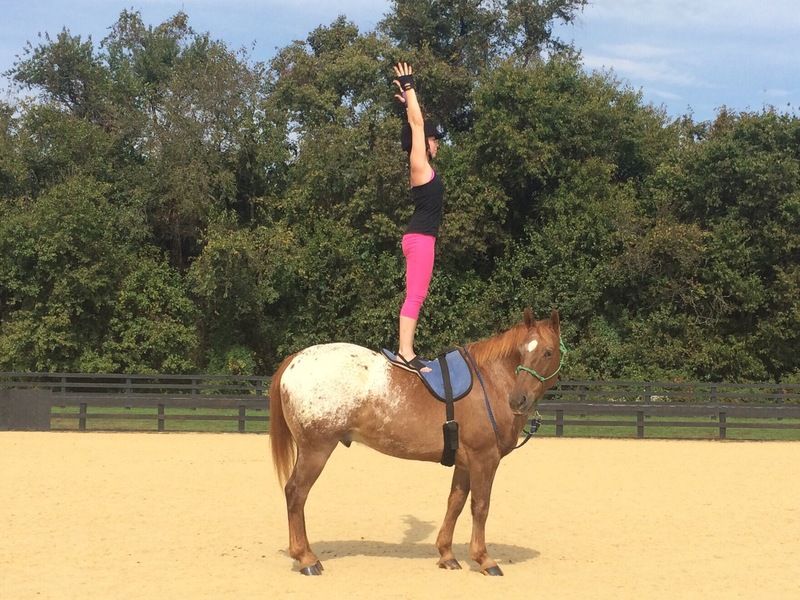 Yoga on horseback can be cruel. If I ignored Snowy during our sessions and tried to force him to stand still when he’s clearly trying to tell me he’s uncomfortable, that would be cruel. Any equestrian sport has the potential for cruelty. What matters is whether or not the horseman or woman understands the horse as a sentient being and respects its desires and emotions. I do. I always put the horse first. If you don’t believe me, I invite you to come watch, or even participate in, a yoga practice with me and Snowy. I know that no matter what I say or do, there will be critics, but I’m not here to make everyone happy, and for every critic there are countless others who are inspired and supportive. I’m here to follow my heart and stay true to myself. I dare you to do the same.